ST. CATHARINES, Ont. 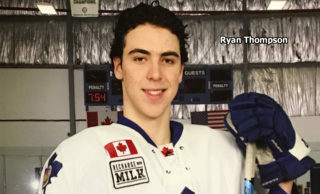 – Stephen Harper scored two goals, including the winner 57 seconds into overtime, and added an assist to power the Niagara IceDogs to a 3-2 victory over the North Bay Battalion in Ontario Hockey League action Saturday night. Anthony DiFruscia also scored for Niagara, which lifted its won-lost-extended record to 26-18-6 for 58 points, second in the Central Division and third in the Eastern Conference. Goaltender Stephen Dhillon faced 23 shots before a crowd of 5,110. Mathew Santos and Kyle Wood scored for the Battalion, 25-17-7 for 57 points, one point behind Niagara in the division and conference. Goaltender Jake Smith made 31 saves. The Troops carried a 2-1 lead into the third period, but DiFruscia tied it on the power play at 2:33, tipping a Harper feed between Smith’s legs from the lip of the crease. Niagara threatened over the rest of the period, but Smith made consecutive saves on Vince Dunn and DiFruscia and stretched to get the right pad on a Graham Knott drive, with Knott ringing the rebound off the post. Harper secured the winner when he made a strong move to the net from the blue line and wristed the puck past Smith’s blocker. It was Harper’s 21st goal of the season and fourth since a trade from the Hamilton Bulldogs. 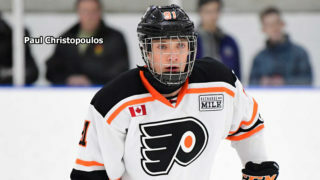 With the IceDogs, who played a third game in three nights, skating four against three, Harper opened the scoring at 7:01 of the first period when he one-timed a Dunn pass from the right-wing circle. Santos replied at 9:34, carrying the puck deep into Niagara territory and waiting for Dhillon to go down before snapping the disc into the top corner. Mike Amadio and Daniil Vertiy earned assists on Santos’s 18th goal. Each team recorded 10 shots and enjoyed several chances in the period. Dhillon denied Amadio, Vertiy, Justin Brazeau and Wood, while Smith was sharp in foiling DiFruscia, Johnny Corneil, Ryan Mantha, Brendan Perlini and Jordan Maletta. Corneil and Tyler Boston each failed to convert into an open net. Wood scored on the Battalion’s first shot of the second period, at 5:55, when he wired a wrister past Dhillon’s glove from the edge of the left circle. Brett Hargrave picked up the only assist on defenceman Wood’s seventh goal. Smith was under siege repeatedly as the Troops were outshot 18-5 in the frame. He faced tough chances from Harper, Perlini, DiFruscia, Pavel Jenys, William Lochead, Dunn and Josh Wesley. Amadio fired the puck off the left post in the 11th minute. The Battalion visits the Ottawa 67’s at 7 p.m. Tuesday. The game can be seen live in North Bay on CogecoTV Channel 12 and heard on Country 600 CKAT. BATTALION BULLETS: Amadio has a four-game points streak during which he has two goals and four assists for six points … The Battalion’s Cam Dineen saw the end of a six-game points streak in which he had four goals and three assists for seven points … Santos extended a points streak to four games. 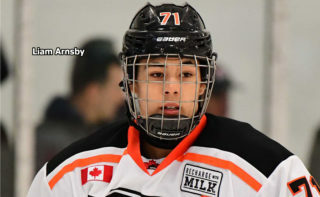 He has three goals and four assists for seven points in the run … Vertiy has two goals and two assists for four points over the last three games … Wood scored his first even-strength goal since his last goal of the 2014-15 season, in a 3-2 road loss last Feb. 11 to the Sudbury Wolves. 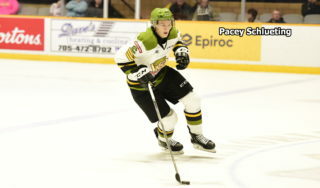 Wood has four points, including two goals, in the last four games … Max Kislinger and Niagara’s Kyle Langdon squared off in a brief second-period bout … The Battalion is 3-1-1 against Niagara this season, with the final meeting at the Meridian Centre on March 12 … North Bay went 0-for-2 on the power play. 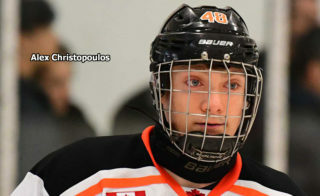 Niagara was 2-for-7 … Opening lines featured Amadio centring left winger Vertiy and right winger Santos, Brett McKenzie pivoting left winger Mike Baird and right winger Steve Harland and Zach Poirier centring left winger Maurizio Colella and right winger Hargrave. 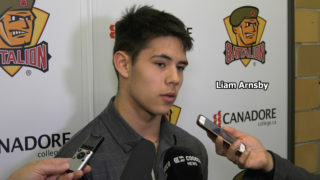 Kislinger centred left winger David Sherman and right winger Brazeau … The Battalion scratched Jake Ramalho, Kyle Potts and Jacob Ball.